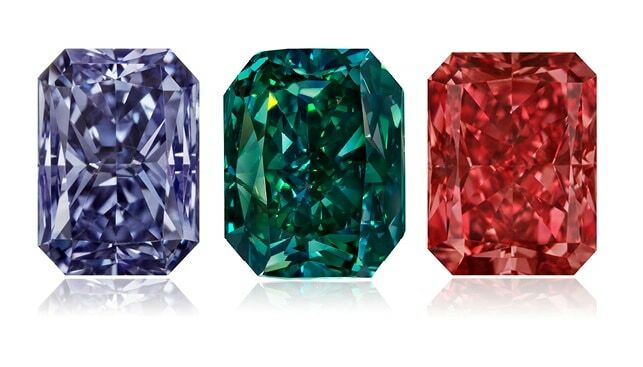 Russian mining giant Alrosa has recently completed its first auction of coloured diamonds. According to the miner, 210 unique diamonds were sold in the “True Colours” auction, raking in a total of $9 million. More than 100 companies participated in the auction. Among the most active were chinese buyers. According to Alrosa, nine Chinese companies bought 20 large stones between them. According to Alrosa, the bidding “was very active, and most of the lots were sold for well above their starting price”. The stars of the auction were the “hero stones”, which attracted “a lot of attention from buyers around the world”. Most notable was an oval cut Fancy Vivid Orangy Yellow diamond weighing 15.11 carats, which “doubled in price during the auction”. Pavel Vinikhin, Director of the DIAMONDS ALROSA cutting division, commented: “The collection of large coloured stones – all cut by our company – which we brought to Hong Kong was the biggest in ALROSA’s history. We sold the lots for well above their starting prices and consider the auction results to be very positive”. He added that the miner plans on holding “True Colours” auctions once or twice a year.